Home Blog Epiphany – Has the Lord Been Made Manifest to You? 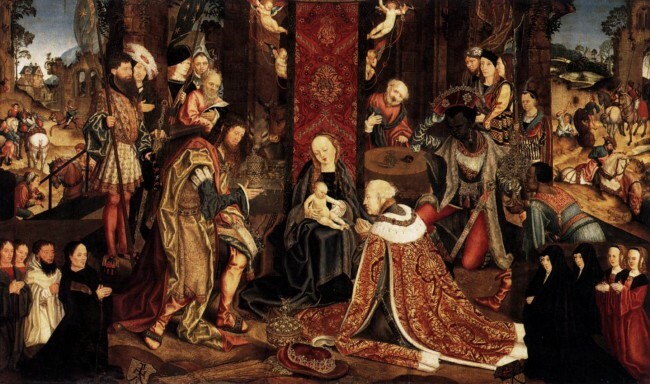 January 6 is the traditional date for celebrating the feast of the Epiphany of the Lord. Although we observed the feast during this past Sunday’s liturgy, it’s good to pause for a bit today to reflect on the far-reaching impact the visit of the Three Kings has had on the faith of so many, and particularly on our own faith. An epiphany is a manifestation, the revelation of a divine being. In the case of THE Epiphany as we recognize it in the Catholic Church, our Lord was made manifest to the Gentiles through the Magi. Thus, he was made manifest to all of humanity and for all time. He is the Son of God, the Messiah. As we consider the glory of the Epiphany, we should be asking ourselves, Is Jesus MY Messiah? Has he been made manifest to me in the depths of my heart? which of old were thrice turned back. lead the Magi to adore thee in thy crib. that didst appear on this Day!